Continuing our massive Good Food Month of eateries, we found ourselves at Shelbourne Hotel for the ‘pub grub & pale’ with 3 little piggies!! We have been eating so much pork that I keep telling the girls, “You know how they say, you are what you eat …” well, you see my drift… On the lovely Wednesday evening, 3 little piggies nom-ed on the 3 little piggies dish! The pork belly very tender and soft, but once you get to the crackling your tastebuds are hit with an overload of salt! Feli had the little pork burger; I don’t believe it would be classified as a favourite for her palette. The little sausage in a roll was nice, but it wasn’t anything that really stood out. Being known as 3 piggies that would surely not fill our bellies up! So… a margherita pizza was added, and mmm~~ that cheesey goodness! I don’t know why but I get very impressed by pizzas that get topped with rocket. For some reason, it just somehow makes me feel like the pizza would be of the texture I like. The pizza base was perfect, not too soft but enough to be able to hold the pizza and it’s toppings. There was a slice of fresh tomato in every single piece of pizza. And the crust was a nice crunch! 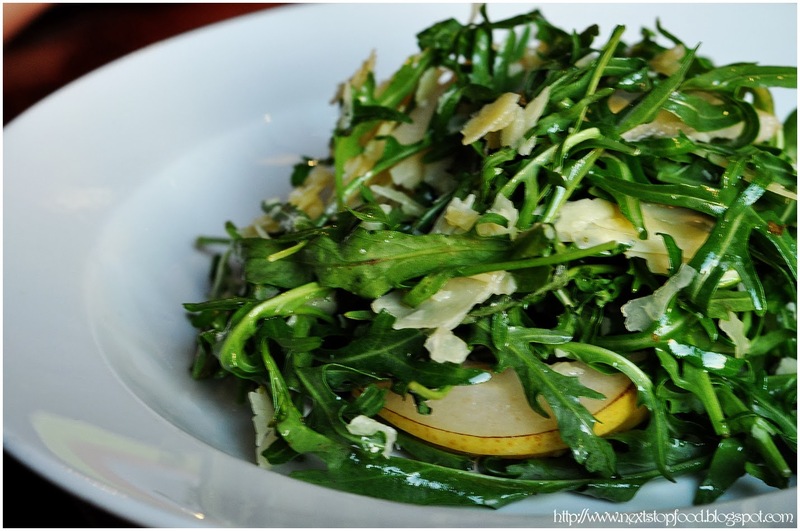 … So we should also have a rocket and pear salad to help counter balance all the “not so healthy” eats. I love daylight saving, the longer days! Even having dinner is nice to be able to still see some sunlight, especially with Shelbourne being in such an open space. Considering Good Food Month is drawing to an end in the next 2 days, perhaps something to mark in your diaries to try next year? Wonder why ... saving money on the advertising? haha! 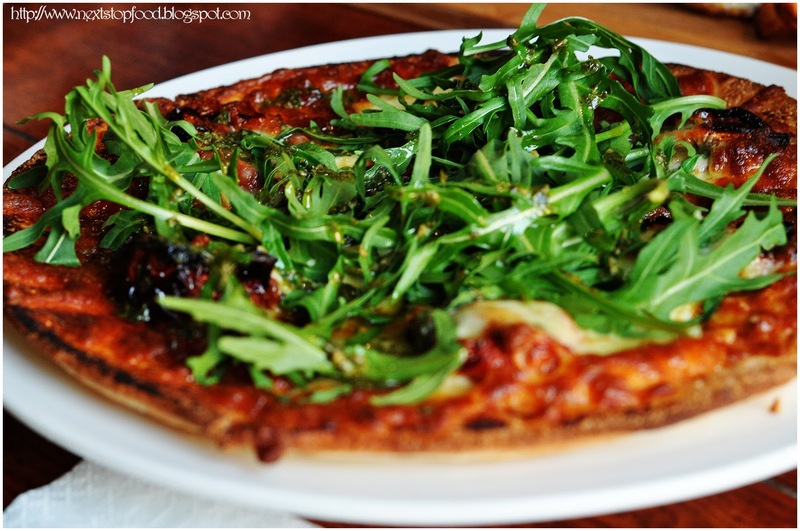 I'm not sure that rocket belongs on a margherita pizza, haha, but the three little piggies idea is very cute (if a little salty!). 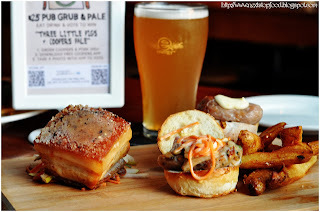 We totally loved the idea of the three little piggies, especially when we love pork so much haha! HAHA! I still don't understand why I love rocket on pizzas haha!